Ballyshannon Cheddar-Style Cheese by Kerrygold of Ireland Is Excellent! 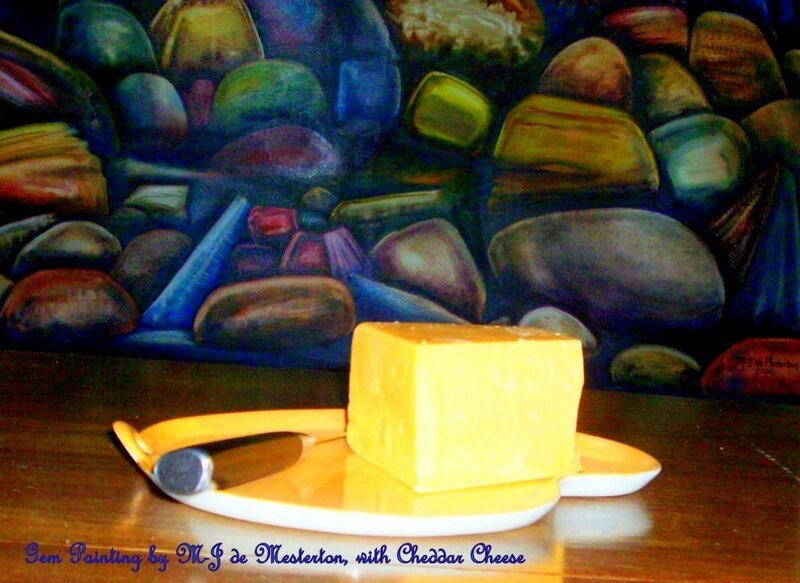 Cheese ought to be stored in a cool environment with 80% humidity, and wrapped in waxed paper. Serve cheese as close to room-temperature as possible. Dubliner, a Cheddar also made in Ireland by Kerrygold, is a rich, mild and clean-tasting cow’s milk cheese that has been aged for twelve months. Ardsallagh Goat’s cheese- From Carrigtwohill, near Cork City, this family-run cheese company specialises in goat’s cheese (soft and hard) and yoghurt made with milk from their own goat herd. Ardrahan sells goat’s milk as well. Bandon Vale- Also from Cork, this is a commercial cheese-producer making a range that includes Vintage (mature nutty cheese), Murragh (Irish cheddar) and Glandór (mellow Red Leicester). Baylough– Hard-pressed and waxed, aged cheese made with milk from a herd of Friesians and Red &White Dutch cows. They make oak-smoked and plain flavours as well as a version which contains garlic. Beal Organic Cheese- The organic dairy farm of Beal Lodge is located in County Kerry produces organic “farmhouse”cheese and yoghurt. It is one of about 25 Irish organic dairies. Beal Lodge hosts a pedigreed herd of Holstein cows, which produce Wensleydale-style Beal cheese and a Cheddar-style cheese. Blarney- Made by Kerrygold, Ireland’s most famous butter producer, Blarney cheese (named after the famous Castle in County Cork) is a mild, semi-hard cheese made from cows’ milk, which resembles Gouda. 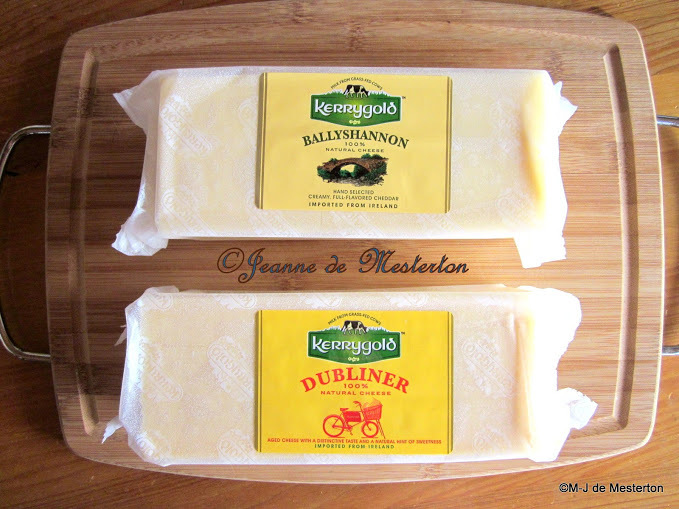 Kerrygold also makes Ballyshannon and Dublin cheeses. Blue Rathgore- “Vegetarian” blue cheese made from goat’s milk in County Antrim of Northern Ireland (home of Dunluce castle and the spectacular Giant´s Causeway). Burren Gold- This cheese is made in the Burren region of County Clare. Friesean cows graze on wild grasses in the fertile valleys in between rugged limestone hills, producing the milk for Burren Gold, a Gouda-style cheese. The cow’s milk is unpasteurized, which puts it into the “farmhouse” cheese category. Some cheeses made there are flavoured with nettles & garlic, fenugreek seed, black pepper, cumin and another variety is oak-smoked. Cahill’s Irish Monastic Cheeses- Made by 3rd generation family of artisanal cheesemakers located in County Limerick. They are known for their Irish Whiskey Cheese (an aged cheddar) made with Kilbeggan Whiskey. Cahill’s cheeses include Cahill’s Kilbeggen Irish Whiskey, Ballyporeen Cheese with Irish Herbs, and Ardagh Chalice Wine Cheese. Clonmore Goat’s Cheese- Distinctive hardcheese made by Tom and Lena Biggane in Charleville, Country Cork. Clonmore cheese is becoming popular internationally. Cratloe Hills Cheese- Sean & Deirdre Fitzgerald make fantastic sheep’s milk cheeses at their farm in County Clare, halfway between Shannon and Limerick. They make two cheeses- mild (nutty and semi hard) and mature (hard and drier), both with 100% sheep’s milk . Dingle Peninsula Cheese- Made in Kilcummin Beg, Castlegregory, in County Kerry. This raw cow’s milk cheese is unique in that it is flavoured with seaweed. Owners Maja Binder and Olivier Beaujouan are luminaries among Ireland’s gourmet food fanatics. Durrus Farmhouse Cheese – this award winning cheese is made in a pretty section of West Cork, near the hamlet of Durrus. Owner Jeffa Gill was one of the artisan cheese pioneers of Ireland, who, together with Giana Ferguson of Gubbeen, and has been making cheese since the late 1970s–long before the ancient tradition of farmhouse and artisanal cheese-making began its renaissance. Durrus is round-shaped, aged, semi soft cow’s milk cheese. Gabriel- made in the Schull section of West Cork. Hard, “fruity” tasting raw-milk cheese, reminiscent of Gruyere in texture. Bill Hogan and Sean Ferry of West Cork Natural Cheese make Gabriel and the popular Desmond cheese. Gubbeen – Giana and Tom Ferguson produce Gubbeen cheese at their farm in West Cork, just outside the picturesque hamlet of Schull. They make both smoked and unsmoked artisan cheeses with cow’s milk from their own herd. Killeen Farmhouse Cheese- This gouda style cheese is made by Marion Roeleweld (who is also a traveling cheese consultant for brands like Mossfield Organic Gouda) at the Killeen Millhouse in Ballyshrule (County Galway in Connemara). They make goat’s cheese, plain cow’s milk cheese, and herb and garlic flavored cheese. Knockalara – award winning feta-style cheeses made in County Waterford near Cappoquin, by Wolfgang and Agnes Schliebitz. Knockalara produces Dromana Natural, Pepper, Sesame and Fine Herbs flavours, as well as Waterford Feta and Knockalara sheep’s milk cheese, which one may purchase cleverly packed in olive-oil. Knockanore – Eamonn and Patricia Lonergan have been making their famous cow’s milk cheese in Ballyneety, County Waterford for decades. Knockanore cheeses come in plain, garlic and herbs, garlic and chive,black pepper and chive and oak-smoked versions. Knockdrinna – Boutique cheese producer in Stoneyford ,County Kilkenny making a wide variety of cheeses from cow, goat and sheep milk. That includes Knockdrinna Gold Goats Cheese, Knockdrinna Meadow Sheep’s Cheese, Lavistown Cheese, Knockdrinna Snow, Knockdrinna Fresh Pesto with Goat’s Cheese, Knockdrinna Fresh Goat Log, Knockdinna Goat’s Greek style soft goat´s cheese. Old McDonnell’s Farm- Located in gorgeous Glen of the Downs in Wicklow, this farm produces many foods including goat’s milk cheeses. St Killian- this Camembert style cheese is made from raw cow’s milk and vegetarian rennet by the Carrigbyrne Farmhouse in County Wexford. Havarti or Cream Havarti (Fløde Havarti in Danish) is a semi-soft Danish cow’s milk cheese. It is a table cheese that can be sliced, grilled, or melted. 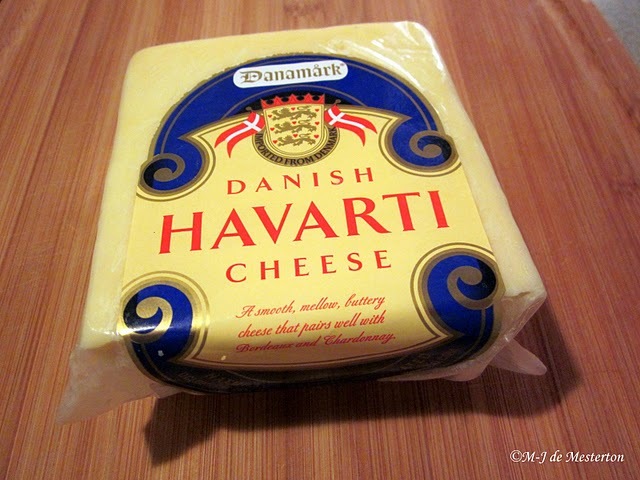 Havarti cheese was created by Hanne Nielsen, who operated an experimental farm called Havarthigaard in Øverød, Denmark, in the mid-19th century. Havarti is made by introducing rennet to milk, thus promoting curdling. The curds are drained by being pressed into cheese mould and then aged. Havarti is a washed-curd cheese, which contributes to its subtle flavour. Havarti is a smooth, interior-ripened cheese that is rindless and of a cream-to-yellow hue, depending on its degree of aging. It has tiny, irregular openings (“eyes”) distributed throughout, like smaller versions of the holes inherent in Swiss cheese. Havarti has a buttery aroma and can be somewhat sharp in the stronger varieties. The taste is also quite buttery, and Havartis range in type from somewhat sweet to very sweet, and it is only slightly acidic. Havarti cheese is usually aged about three months, though when the cheese is older it becomes more salty and has a taste-factor reminiscent of hazelnuts. When left at room temperature, Havarti will soften quickly.The original Havarti is different from flødehavarti (“cream havarti”) which distinguishes itself by being made of high-pasteurized milk. This means that the whey proteins that would otherwise be eliminated during production remain in the curd, thereby raising yields but reducing taste and texture. Cream havarti usually ripens very little, because their whey- proteins cause undesired anomalies (strange taste and/or appearance) during prolonged ripening.Cream Havarti is pleasantly mild and slightly salty, making it a favourite for grilled cheese. 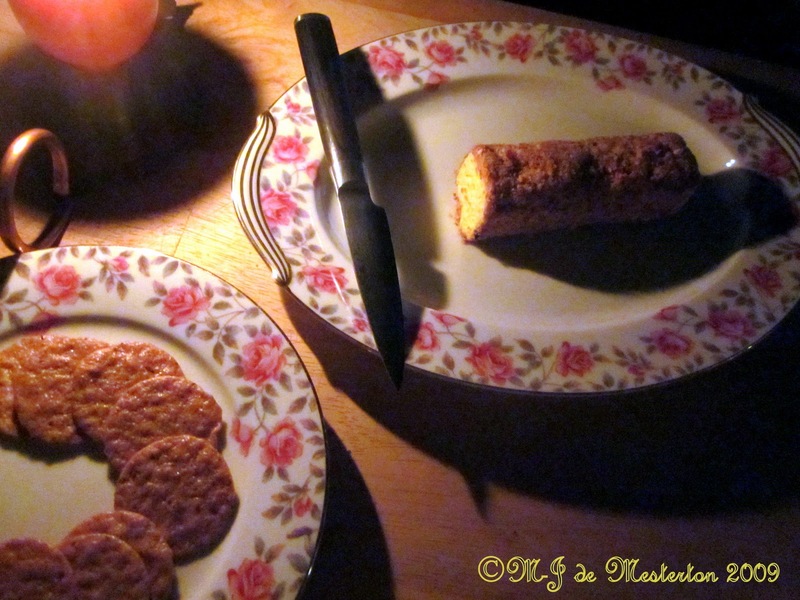 It is easy to slice thinly, and therefore ideal for serving with crackers or biscuits. Most Havarti on the market is Cream Havarti. What is Fromage à la Crème? Cream cheese! It’s wonderful stuff, and so versatile that it is used in both desserts and savoury dishes. Also Known as CREAM CHEESE! Drain pineapple bits as well as possible by dumping the can contents into in a sieve and pressing with a bowl.Spread pineapple bits on a baking sheet, and drizzle with honeyor sprinkle with sugar.Bake until golden brown. In a mixing bowl, combine pineapple with cream cheese until smooth. Use as a spread for crackers. This elegant dip straight out of the 1960s has two ingredients: pineapple and cream cheese. Drain and chop the pineapple–I prefer the canned type without added sugar–and blend with sightly-softened cream cheese. The crackers you serve with this cream-cheese-pineapple dip ought to be the original, plain Ritz brand. Acceptable substitutes are Waverly crackers. French cheeses either are produced at a farmhouse (fromages fermiers) , or are industrially manufactured. A further distinction is also possible: traditional regional cheeses with an “appellation contrôlée” label (there are about 40 of these), traditional cheeses without an “appellation contrôlée” label, and modern dairy-designed and produced cheeses. A very tasty uncooked pressed cheese from the Auvergne mountains, Cantal is a cheese that many consider to be quite close to an English farmhouse Cheddar or Chester. A lot of this “appellation contrôlée” cheese is made on farms, but obviously local dairies in the region also produce it in large quantities. Cantal comes in two varieties: “jeune” (young) and “entre deux” (between two), meaning cheese that has matured for longer. This cheese’s strength and taste increase with aging, and generally speaking, Cantal cheese is stronger than Cheddar. Two smaller areas within or bordering the Cantal department produce specific appellations of their own, Salers and Laguiole. These cheeses, made from the milk of cows grazing at high altitude, tend to be more expensive than generic Cantal, and are generally aged longer. This delicious French cousin of the swiss “Gruyère” cheese is an appellation contrôlée from the Franche Comté region of eastern France. The production area stretches along the Swiss border, and all milk comes from cows grazing at at least 400 metres altitude. This cooked cheese is manufactured collectively village by village, and the production method has changed little over hundreds of years. Any Comté that is produced outside the region, or using milk not coming from cows grazing according to the “appellation contrôlée” rules, is sold as Gruyère. Though produced village by village, in the local village dairy (fruitière), a lot of Comté is matured in industrial cellars by large dairy companies such as Jurador. Comté cheese generally comes without holes in it; but sometimes it may have small holes. Like Cantal, Comté comes in different varieties, sometimes called “fruité” or “salé” (fruity or salty). Fruité Comté is often more elastic; salé is usually a little more brittle. The most expensive Comté is Comté Vieux (old Comté), which is generally aged over six months and possibly over a year. Comté is the traditional cheese used in a cheese “fondue”, and also for “raclette” (see below). A round cheese, made in the area of Lille in the north of France. Its orange colour is the result of added vegetal colouring. The cheese was originally made as a French variation of the Dutch Edam cheese, to which it is very similar. Mimolette production relies upon the use of mites in the cave, which cover the cheese during the aging process. I’ll take Edam! This slightly-cooked hard cheese is produced in the Pyrénées mountains. It does not benefit from an appellation contrôlée label. Pyrénées comes with a distinctive black skin. Generally speaking, it is a fairly bland cheese that will appeal to those who do not like strong-tasting cheeses. Reblochon is a rich, soft pressed cheese made in the Alps; it has quite a strong flavour, and a creamy texture. There are hundreds of soft cheeses in France; each region has its own specialities. Many of these – notably those with appellation contrôlée – are manufactured in small units, and (with notable exceptions such as Brie and St. Nectaire) if you want to buy one, you must buy a whole cheese. There are two sorts of Brie: Brie de Meaux and Brie de Melun, both named appellation contrôlée cheeses named after two nearby towns in the the country some fifty miles south east of Paris. Brie comes as a thin round cheese about 20 inches in diameter, with a soft white crust. This crust is traditionally eaten. Brie is a very mild creamy cheese that should appeal to anyone who does not enjoy strong tasting cheese. A cheese from Normandy, Camembert is known and imitated worldwide. A ripe Camembert should be just soft on the inside, but not runny. A young Camembert will tend to be hard and dry, and rather tasteless; an overripe Camembert, gone yellow on the outside, will tend to smell quite strongly and is only recommended for those who enjoy strong cheeses. The crust of a Camembert is usually eaten. Supermarkets are full of Camembert imitations, since any similar cheese that is not manufactured in the appellation contrôlée area in Normandy cannot call itself Camembert. These look-alikes tend to be sold young. To test a Camembert or an imitation thereof, open the box (not the protective wrapping paper) and press gently. The cheese should be just soft, but not spongy. A fairly strong “rind-washed” soft cheese from the Burgundy region. Thicker than a Camembert, Epoisses, like other rind washed cheeses, is yellowish on the outside, and white on the inside. The white center is often almost crumbly, while the cheese under the skin remains very soft. Epoisses has a distinctive taste, shared with a similar cheese from a bit further north Langres; both of these cheeses are appellation contrôllée cheeses, and are admirable accompaniments for red wine. Another cheese in the same family is Maroilles, made in the north of France. This very distinctive appellation contrôllée cheese from Franche Comté (known as Vacherin in Switzerland), is manufactured along the French-Swiss border, at altitudes of at least 800 meters. Like the Comté that is made in the same region, it is a cheese whose manufacturing process has changed little over the centuries. This rind-washed cheese matures in a round frame made of a thin strip of local spruce wood. In the course of maturing, this wood imparts a delicious aroma into the cheese which is later packaged and sold in round boxes made from the same wood. Unfortunately, Mont d’Or is a seasonal cheese and is not manufactured in the summer months because the milk quality in the region has a different quality when the cows have rich summer pastures to graze on. This cheese comes with an undulating beige crust, and under the crust the cheese itself is soft to runny. Though it is quite a strong cheese, Mont d’Or is not usually a sharp cheese. It tends to appeal to all tastes. In recent years, local dairies have looked for ways to produce and market a cheese similar to Mont d’Or year-round. The most successful imitation is called Edel de Cleron, made in the Franche Comté region, but in a dairy at a lower altitude. Like Mont d’Or, Edel is packaged in spruce wood, to give it the distinctive aroma. A fairly strong rind-washed soft cheese from the Vosges mountains in Eastern France. Muenster is definitely not a cheese for those who do not like strong tasting varieties. It comes in two varieties, normal and “au cumin” (with cumin seed). Darker on the outside than Langres or Epoisses, Muenster generally has a thicker rind which some eat, others cut off. Even an unripe Muenster is tasty; a ripe one – which may well be quite hard on the inside – will be very strong. However, like other strong cheeses, Muenster should never have an acrid taste. If it does, it is over-ripe. A creamy soft cheese, uncooked and unpressed, from the coastal region of Normandy, south of Deauville; Pont l’Evèque is one of the oldest cheeses in France, and has been documented since the 12th century. Some claim that this is the greatest of French cheeses–-and possibly this could be true for an exceptionally good cheese; but Saint Nectaire – an appellation contrôlée cheese from the mountains of the Auvergne-–is, alas, a cheese that varies considerably in quality and taste. There are two distinct types, the farm variety and the dairy variety. The farm variety is generally better and more expensive, the dairy variety, usually found in supermarkets, is frequently sold too young. When this cheese is young, it is quite dry and hard; a properly matured Saint Nectaire should be soft and elastic, with a slight tendency to flow if left at room temperature. One does not eat the rind of Saint Nectaire. A cheese very similar to Saint Nectaire, notably to the variety found in supermarkets, is Savaron, a non-appellation cheese that is also produced in the Auvergne, mostly by industrial dairies. Bleu d’Auvergne ranges from bland to sharp. An appellation contrôllée cheese whose quality and taste can vary considerably, you can ask to taste it before you buy Bleu d’Auvergne. Specific varieties of this cheese include the ancient Bleu de Laqueille. Bleu de Bresse is not an appellation contrôlée cheese, but a French industrial dairy’s attempt to imitate the success of Danish blue. It’s a soft and almost spreadable cheese. Bleu des Causses is an appellation contrôlée cheese which is generally delicious and strong-tasting, without being sharp. A cows-milk cheese, sometimes quite crumbly, manufactured in the same area as Roquefort and quite similar tasting. Bleu de Gex is a blue from the Swiss border, rather hard and not very strong. Fourme d’Ambert is a mild blue cheese from the Auvergne, often with an almost nutty flavour. No one should find this too strong. 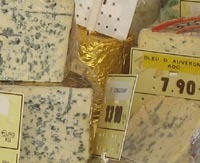 Roquefort is the most famous of France’s blue cheeses, though not necessarily the best. Roquefort is an appellation contrôlée cheese, made from the milk of one single breed of sheep, the “Lacaune” breed. The cheese has been made since the Middle Ages, and has been famous for many centuries; more recently it has been the object of intense and successful marketing, making it into a virtually industrial product. Over 18,000 tons of Roquefort are manufactured each year, and the cheese is exported worldwide. Though made in the “causses” mountains of southern France, in the department of the Aveyron, and matured in caves, a lot of the milk used in the making of Roquefort is imported into the region. There are dozens of different goats’ cheeses, and many local producers market their cheese under their own local village or regional name. Goats’ cheeses can be sold either very young (frais), when they are soft and spreadable, medium matured, when they are still soft, but not spreadable, or fully matured, when they are hard. Ineguy is a pressed cheese from the Basque country, similar to other southern European ewe’s milk cheeses, such as Pecorino Romano from Italy. Saint Agur (a soft blue cheese, made in the Auvergne), Brillat-Savarin, an almost buttery soft cheese, Roulade, Saint Albray, Port Salut, Boursin, a cream cheese containing herbs and garlic. Raclette is a mass-produced industrial cheese designed for a “raclette”, i.e. a meal in which thin slices of cheese are heated and melted then poured over baked potatoes and eaten with gherkins, mountain ham and other accompaniments. Raclette is an easy and convivial meal, where everyone serves themselves from the raclette grill which is placed in the middle of the table. 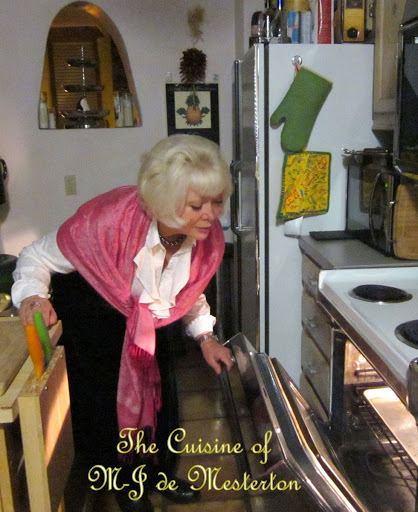 (Traditionally, the cheese was melted in front of a hot wood fire). However, “raclette” cheese is not the best cheese for a raclette. I prefer Comté (the best) or Cantal. The words “tomme” and “fourme” are generic words that can describe several different types of cheese. Etymologically, the French word for cheese, “fromage” is a diminutive version of the word “fourme”. Cancoillotte is a very distinctive cheese that comes from Franche Comté; it is a runny cheese strongly flavored with garlic, and is very much an acquired taste. It can be eaten cold or hot. Remember to always serve cheese at room temperature, because cheese has a high fat content, which needs to become softer to be flavourful.